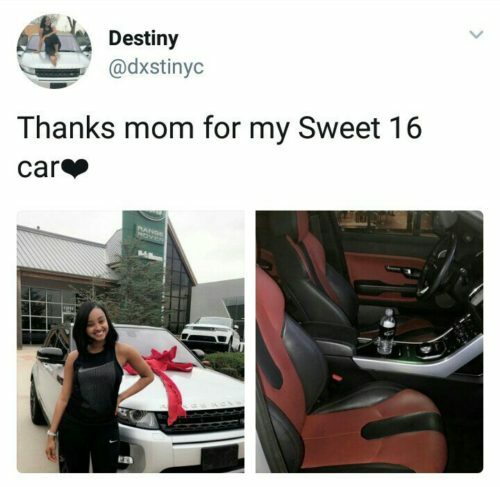 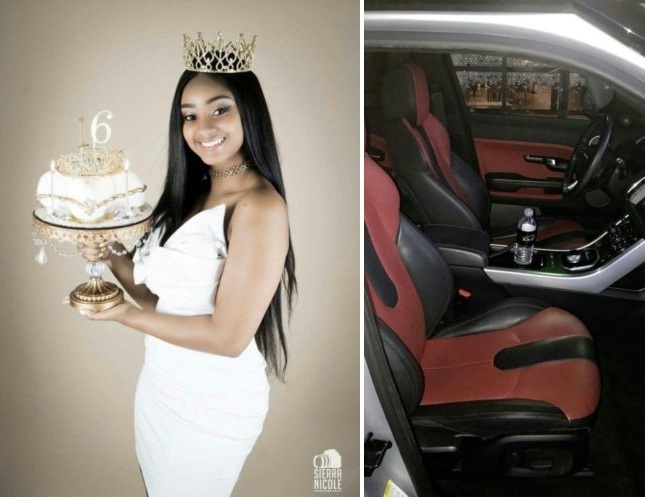 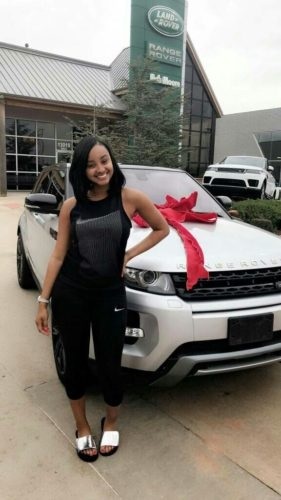 16 year old girl surprised by her mom with a Range Rover as a birthday gift.From the looks of it, she is surely from a wealthy family or well-to-do one.She took to her Twitter page to thank her mom for the birthday gift. 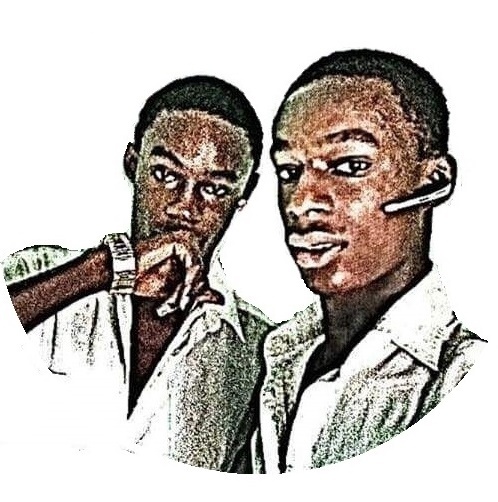 our names spelled the exact same. 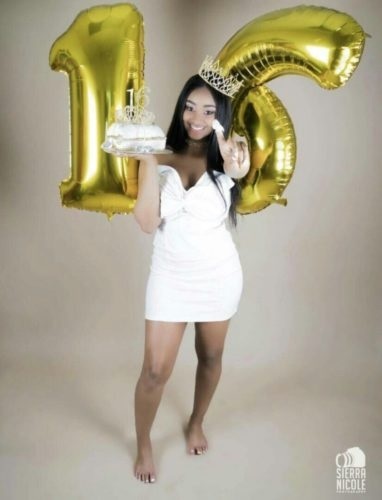 I jumped when I saw my name pop up lmao.